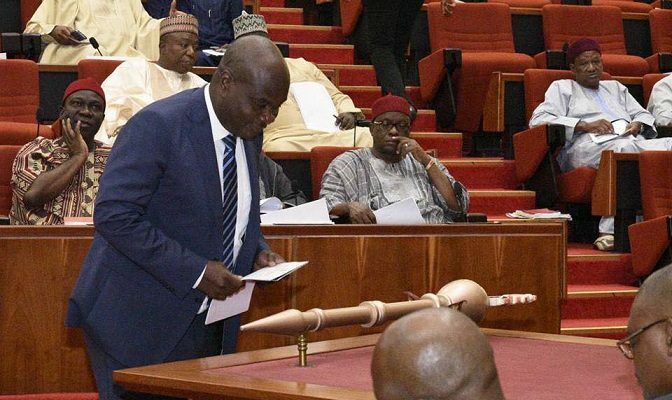 The senator representing Kogi East Senatorial District, Atai Aidoko, has advised Ex-Chief of Air Staff, Air Marshall Isaac Alfa (rtd) to wait for the outcome of the Supreme Court Judgment before accusing the leadership of the Senate of being biased against him. The Senator was reacting to the allegations that the Senate President, Bukola Saraki, was biased for not swearing in Alfa following the appeal court ruling that Alfa is the authentic winner of the Kogi East Senatorial seat. Alfa has been locked in a three-and-half-year legal tussle with Senator Atai Aidoko over the Kogi East Senatorial seat. Alfa had been crying foul over the refusal of the Senate president, Bukola Saraki, to swear him in after six court rulings including one at the appeal court in his favour. Aidoko told our correspondent on the telephone that Alfa should familiarise himself with the relevant electoral laws which give only the supreme court the power to make pronouncements on whether or not he should be sworn in as the rightful owner of the seat. He said, “The issue at stake is a pre-election matter which only the Supreme court can take a decision on.” He drew the attention of Alfa to the case of Bassey Akpan in Akwa Ibom where the Supreme court was the final arbiter adding that until then he remained the Senator representing Kogi East. He said that the Supreme Court has stated several times that a mere appeal cannot stop the execution of a judgement since an appeal cannot constitute a Stay. He wondered why Alfa is making a fuss about an issue currently in the Supreme court waiting to be adjudicated upon in line with electoral laws. According to him, the securing of a judgement in the appeal court did not invalidate his position as a sitting Senator since only the Supreme court can decide the rightful owner of the seat. He said that Alfa should wait for the Supreme court judgement before crying foul. The Supreme court is scheduled to deliver judgement on the case on December 16, 2018.